Playtech has already done the deed and broken new ground within the Online Casino Industry omni-channel – a long awaited technology that will make players extremely happy. As one of the leading suppliers and game developers currently in a very competitive market they are certainly not standing still and you can bet your botton dollar that Playtech will not let that happen. As the pioneers of omni-channel gaming which allows players to access one accumulated jackpot through multiple games across various online casinos played across multiple platforms – Playtech has effectively gained physical and emotional ownership of the omni-channel gaming market having put their first “Omni Online Slot” called Tiki Paradise out into the Market. The concept is simple as most of the very best customer focused user solutions are. Why it wasn’t thought of until now. Basically what this all means is that Playtech ONE allows online slots and casino table games to share jackpot liquidity with all its online casino and land-based slot machine cousins. Basically put, the technology ensures more players have a shot at a larger prize pool that can be obtained more often, as it is now played more often than ever before – Sharing jackpot liquidity across the online gaming portfolio is just the first step in Playtech’s plans to offer their customers new, revolutionary and unique online gaming experiences. Customer Feedback to Guides for popular online casino games has been the field-of-dreams for the Playtech game development team in evolving the ideas behind the Playtech ONE system. Listening to their clientele’s desires, wants and needs is the type of right stuff that is driving new customer experience strategies in business today. 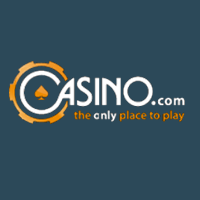 This entry was posted in Casino Blog on March 12, 2018 by admin.